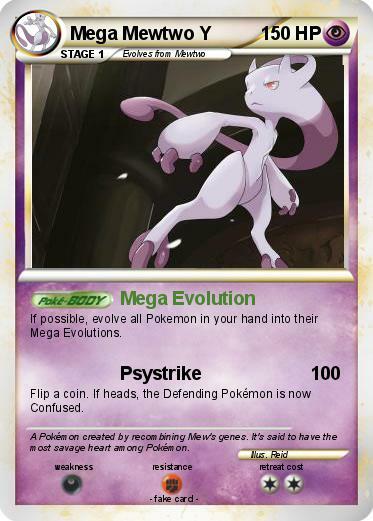 If possible, evolve all Pokemon in your hand into their Mega Evolutions. Comments : A Pokémon created by recombining Mew's genes. It's said to have the most savage heart among Pokémon.